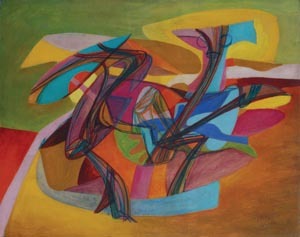 Francis M. Naumann Fine Art is pleased to announce “Stanley William Hayter in America: Paintings, Drawings and Prints 1940-1950,” a show that will open on Thursday, January 8, 2008, and run through to Friday, February 20, 2008. 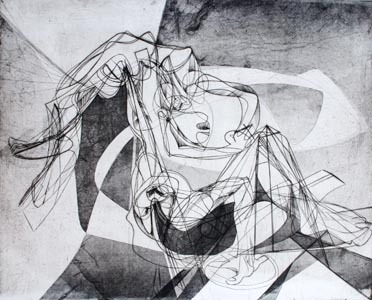 Stanley William Hayter (1901-1988) is considered one of the most original and highly innovative printmakers of the 20th Century. 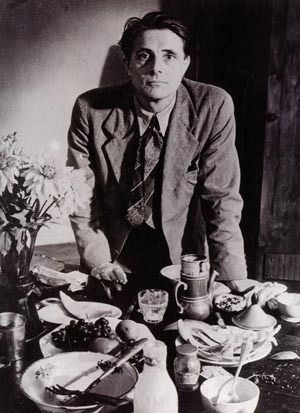 In the early 1930s in Paris, he opened Atelier 17 (named after its street address on the rue Campagne-Premiére), which became the premiere printmaking workshop for the leading modern artists of the day: Pablo Picasso, Max Ernst, Alberto Giacometti, Joan Miró, André Masson, Jean Arp, Alexander Calder and Marc Chagall all worked and studied there. When war broke out in Europe, Hayter moved to the United States, and almost immediately set up a printmaking studio in the New School for Social Research and, shortly thereafter, reopened Atelier 17 on Eighth Street in Greenwich Village. There, a host of American painters gathered—including, among others, Robert Motherwell, Mark Rothko and Jackson Pollock—to learn the newest printmaking techniques. Hayter became so well known as a printmaker that few realized he was also an accomplished painter and draftsman. Indeed, as this exhibition hopes to demonstrate, Hayter worked in all three media—painting, drawing and printmaking—interchangeably, in styles that reflected the prevalent artistic movement of the day. 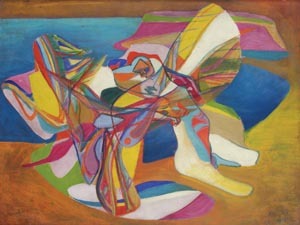 In Paris, he worked in what could be describe as an abstract Surrealist mode, but in New York, his linear style (doubtlessly informed by the graphic quality of various printmaking techniques) was perfectly suited to the animated and gestural style of Abstract Expressionism. In whatever media he chose, Hayter never abandoned a subject matter that originated in Green and Roman myth, be it Narcissus gazing at his own countenance in a reflecting pool, or Ceres, godless of the harvest and growing plants, overseeing her seasonal bounty. In 1950s, after a decade of working in New York, Hayter return to Paris, where he reopened Atelier 17, which remained in operation until his death in 1988 (whereupon it was named Atelier Contrepoint). This show is confined exclusively to work produced by Hayter during his years in New York (that is to say, during the 1940s). It has been argued that this period marked the moment of his greatest influence, not only among printmakers, but in the emergence of Abstract Expressionism in America. 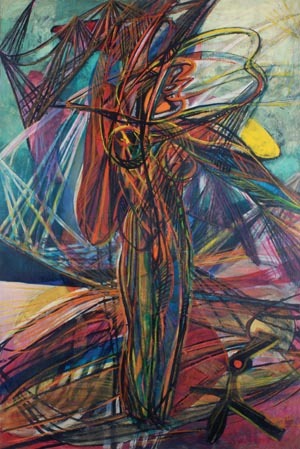 Hayter advocated both the theory and practice of ‘automatism,’ wherein an artist is encouraged to empty his or her mind and allow the unconscious to direct their work, a critical tool that helped to fuse a Surrealist technique with the expressive power of abstraction. Indeed, in whatever media Hayter works, and no matter how abstract the imagery becomes, there is always a semblance of a subject, an imagery defined almost exclusively by line. The show is accompanied by a fully illustrated color catalogue, featuring an introduction and previously unpublished interview with Hayter by the painter Deborah Rosenthal.